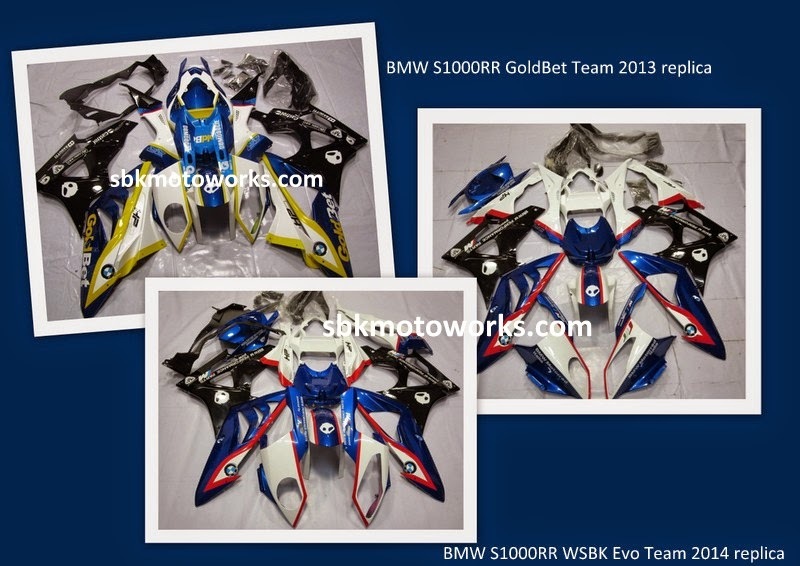 Since 2013, GoldBet livery is always the favorite from our list, for this year we have come up with 2014 design based on BMW Motorrad Evo Team. Our objective is to offer the best fairing kit at a very affordable price. Either you decided to change your fairing for your favorite racing team color or due to crashed (hope it's not too late), we are happy to help all riders around the globe. The original stock fairing is too expensive and to paint your original stock fairing will cost you a lot (we suggest you keep the original fairing in box), so why don't get our new set of fairing and having hassle free to design and look for a painter. We offer the complete fairing kit with painting at the very affordable and competitive price. At SBK Motoworks, our fairing is made from the highest grade of ABS resin, having tested by many customers on road and on track.